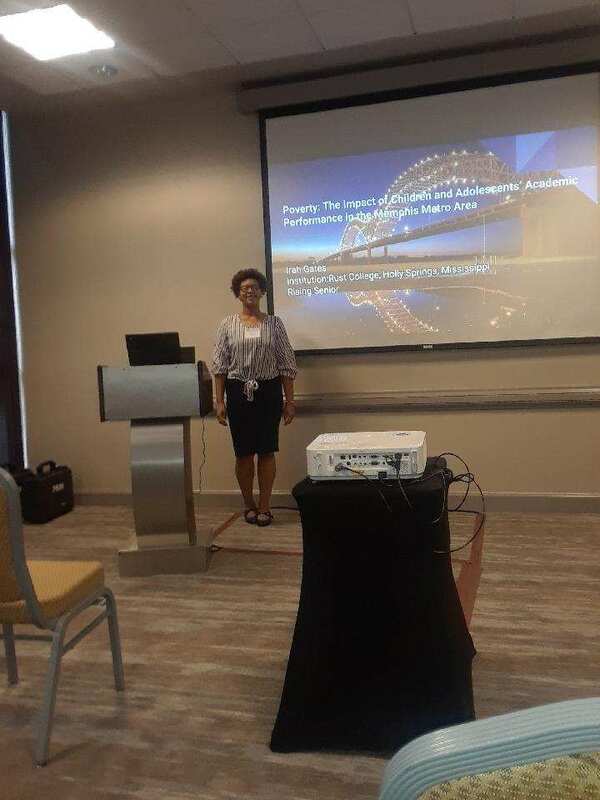 Dr. Dalila de Sousa (Associate Professor of History, Spelman College) recently presented research developed during a faculty residency held in the Summer of 2011 in Lisbon, Portugal. Congrats to art historian Melanee Harvey on her profile in Diverse Education! For more information on this special recognition by the Tom Joyner Foundation, follow this link. Irah Gates interned with the City of Memphis' Urban Fellows Program, and was nominated and accepted for participation in the White House Initiative on HBCUs. Nzali Scales studied abroad for a month in the Dominican Republic, and participated in a Leadership Alliance cohort at Columbia University. Congratulations to Howard Rambsy, who has been awarded a grant from the National Endowment of the Humanities to teach an institute on Frederick Douglass and African American literary studies. Follow this link to his site for more information! Follow the link to read more about Raegan's participation in the inaugural ARCH cohort at Princeton! Follow the link for poet Jericho Brown's latest work in The New Yorker. Follow this link for his recent feature in TIME. The 2018 Summer Institute is underway! The Woodrow Wilson National Fellowship Foundation has just named its 2018 cohort of Career Enhancement Fellows. A third of this year's class of fellows were previously Mellon Mays Undergraduate Fellows. Several (Kenton Rambsy, Saida Grundy, Ashanté Reese, and Lauren Eldridge) have been directly funded through the UNCF/Mellon Programs. Kudos to all!